Demand response refers to a series of programs, primarily power grid sponsored, which is intended to help end users from the household sector or companies to be on call for reducing electricity consumption, when a grid gets stressed to its capacity. It is impossible to store electric energy, so utilities traditionally match demand and supply via throttling their power plants’ rate of production. For this, they derive generating units off or on line, besides which they could import power from their plants. However, there are a few limitations to what can be achieved on the supply side. This is because generating units often take much time to derive power to its full capacity. Moreover, these units are very expensive to operate, also it is not likely that energy in demand to be at par with the plant’s generating capacity. In fact, chances exist for the energy demand to exceed a plant’s generating capacity. During such events, a demand response management system helps power plants cope by adjusting the demand for power instead of trying to adjust the power supply. Demand response management systems allows customers to adjust their power consumption or demand by postponing a few tasks, which may require large volume of power. Furthermore, it also enables consumers to switch their consumption to alternate sources until the required equilibrium is achieved. Demand response has therefore become an indispensable asset for Smart Grid ecosystem. While demand response remain critical to the ability of consumers for making choices about adjusting their energy consumption, it is vital to operations of several electric utility for economic control, peak load management, optimization, and distribution. Demand Response Management System (DRMS) refers to a load management tool with significant advantages for reducing the gap between demand and supply of energy. Energy efficiency (EE) and Demand Response (DR) together assist in demand-side management of energy that motivates consumers to alter pattern and volume of electricity consumption and improve grid reliability at the same time. Demand response management system includes both price-based and incentive-based options to encourage consumers to reduce their energy consumption during peak hours. The integration of Information and Communications Technology (ICT) and Internet of Things (IoT) into the energy sector has been instrumental in automation along with real-time data processing. The electricity utilization patterns of consumers are also examined by service providers, which helps in enhancing energy efficiency by the participation of services providers and users cumulatively. Energy companies, therefore, undertake DRMS programs and encourage users to modify their utilization pattern during peak consumption hours so as to keep a balance between energy demand and supply and grid reliability. Demand response management system enables utilities to extend customized programs for customers and analyze real time and past performance of DR programs to assess their effectiveness. In modern energy distribution systems, the roll out of smart grids has expanded the application of advanced metering infrastructure (AMI), enhanced automation in transmission and distribution system, strengthened customer energy management systems, and integration of renewable energy to regular grids. AMI meters extend direct load control capabilities to energy companies as Direct Response (DR) units have direct communication with AMI meters that controls thermostats and residential appliances for load reduction. Thus, the deployment of smart grid is one of the major factors driving the Demand Response Management System market. Although utilities and DRMS providers are largely targeting industrial and commercial customers, smart meters rolled out in several countries are presenting lucrative opportunities for rolling out residential DR programs. Price volatility of energy and customer switching are some other factors contributing to the growth of the DRMS market. The development of automated DR has also been fuelling the market’s growth. However, factors such as complexity and cost involved in the implementation of DR has restricted their usage to large investor owned utilities. The cost advantages of Software-as-a-Service (SaaS) and deployment of cloud-based DRMS is providing tremendous opportunities to the growth of the demand response management system market. The demand response management system market can be segmented on the basis of solution, and device. By solution, the DRMS market can be divided into residential DRMS, commercial and industrial DRMS, and automated DRMS. In terms of device, the market can be segmented into Smart Appliances, Smart Thermostats, Smart Plugs, Load Control Switches, and Networked Home Energy Management. 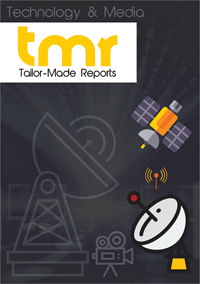 The report mentions and profiles some of the leading companies operating in the global demand response management system market, namely Siemens AG, Schneider Electric, Johnson Controls, EnerNOC, GE, ABB, and Honeywell.